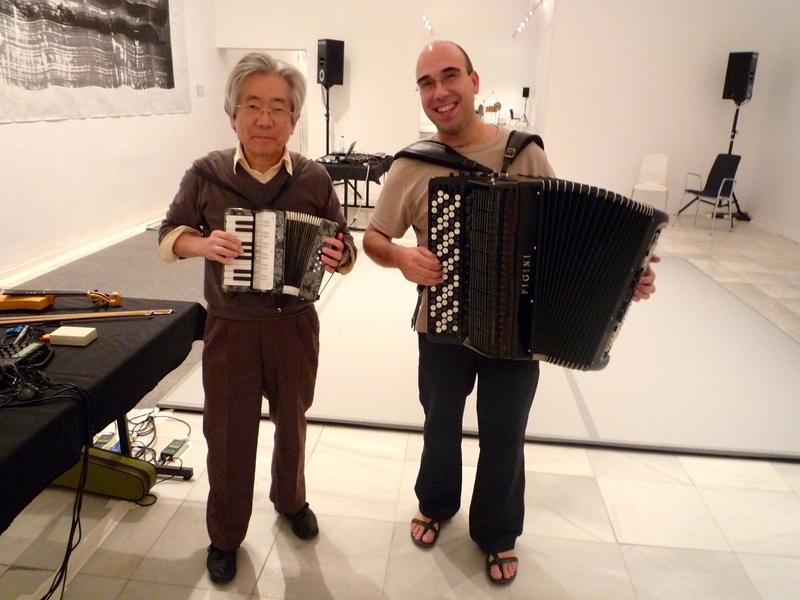 with Takesiga Kosugi, composer and music director for the Merce Cunningham Dance Company since 1978. 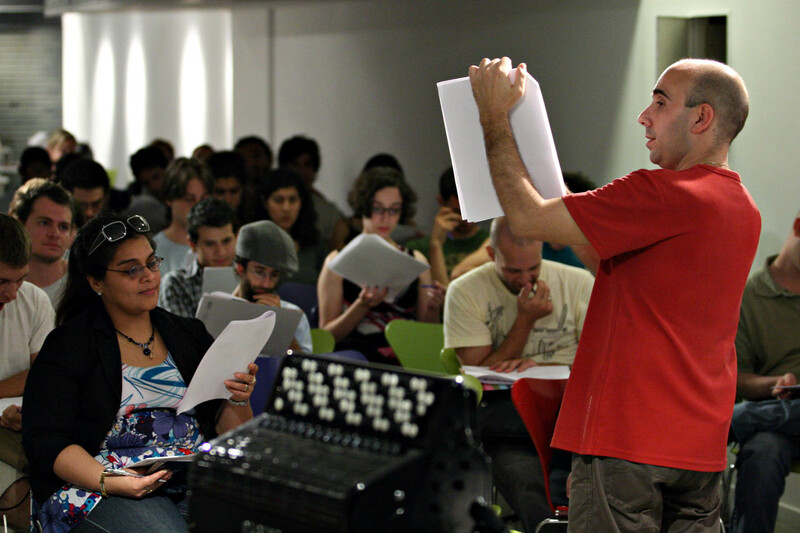 His interest in the integration of the accordion in the instrumental palette young composers has led him to give several Master-Class in centers such as: University of Paris 8 (France), Superior Conservatory of Music in Valencia, Real Conservatorio Superior of Music in Madrid, Conservatory of Music "Rafael Orozco" in Cordoba, CCEBA of Buenos Aires (Argentina), European Musical Creation Workshop etc. He has collaborated with: ONE (Orquesta Nacional de España), ORCAM (Orquesta de la Comunidad de Madrid), Real Filharmonia de Galicia, Orquesta de Cordoba, Orquesta Sínfonica de Madrid, Orquesta del Palau de les Arts (Valencia), Icarus Ensemble, Ensemble Futurs-Musiques, Ensemble XXI, Sillage Ensemble, Taller Sonoro, Plural Ensemble, etc. He has worked, among others, with directors such as: Zubin Mehta, Peter Eötvös, Peter Csaba, Giorgio Bernasconi, M. Harth Bedoya, Jacques Mercier or José Ramón Encinar. Since 2006 he is member of the Ensemble Espai Sonor, one of the most important and active groups in Spain. He has been invited to perform in many festivals around the world: Spain, France, Italy, Germany, Russia, Canada, China, Cuba, Poland, United Kindom, Norway, Finland, Lebanon, Argentina, etc. Interested in other forms and possibilities of interpretation, works as a musician in various theatrical scene: La Balada de la cárcel de Circe (Teatro Yeses, a group formed by internal actresses of the Prison - Women from Alcalá-Meco); Música y Espacios para la Vanguardia Española (multimedia show); Brundibar (children's opera by Jewish Czech composer Hans Krasa); Único Sentir (flamenco show); Cuerpos Deshabitados (chamber opera, libretto by Marina Bollaín and music by José Mª. Sánchez Verdú); Events (choreography by Merce Cunningham with the Merce Cunnigham Dance Company); Nena, puppet theater; Stella Polaris Circus. During his career as a performer he has recorded for many labels including Several Records, Stradivarius, Neos, Columna Música, Another Timbre, World Edition, Verso, Naxos and Enixe Record. Accordion teacher at differents Professional Conservatoire in Madrid and the Real Conservatorio Superior for the last 24 years. 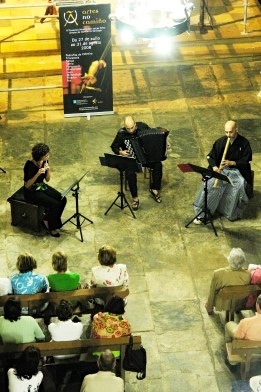 Centro Integrado de Enseñanzas Musicales Federico Moreno Torroba (Madrid). ©2015 Esteban Algora. All rights reserved.